Philip Girard joined the faculty of Osgoode Hall Law School on July 1, 2013. He had previously visited Osgoode as the James Lewtas Visiting Professor in 1993-94 and 2011-12. Professor Girard is one of Canada’s most distinguished and pre-eminent legal academics and legal historians. In 2011, he was made an honorary fellow of the American Society for Legal History, the first Canadian to be so recognized. Prior to joining Osgoode, he was University Research Professor, and Professor of Law, History & Canadian Studies at Schulich School of Law, Dalhousie University. At Dalhousie, he served as the Law School’s Acting Dean, 1991-93, and Associate Dean (Graduate Studies and Research), 2002-06. In 2010-11, he was Visiting Scholar, Centre for Criminology & Sociolegal Studies, University of Toronto. He enjoys a richly deserved reputation for collegial and professional service, the list of which is almost as long as his publications. Recently, he has served as Chair, Law, Criminology & Socio-legal Studies Adjudication Committee, Social Sciences & Humanities Research Council of Canada, 2008-11. He has also served as President, Canadian Association of Law Teachers, 2003-04. His publications include Lawyers and Legal Culture in British North America: Beamish Murdoch of Halifax (Toronto: University of Toronto Press for the Osgoode Society, 2011), winner of the Clio-Atlantic Prize awarded by the Canadian Historical Association; Bora Laskin: Bringing Law to Life (Toronto: University of Toronto Press for the Osgoode Society, 2005) (for which he was awarded the Champlain Society’s Floyd S. Chalmers Award 2006, for best book published on Ontario history in previous year, and shortlisted for the John A. Macdonald Prize 2006, for best book published on Canadian history in 2005). He is also editor (with Jim Phillips) of two collections on Nova Scotia legal history: The Supreme Court of Nova Scotia, 1754-2004: From Imperial Bastion to Provincial Oracle (2004), and Essays in the History of Canadian Law: Volume III, Nova Scotia (1990), both published by the University of Toronto Press for the Osgoode Society. Professor Girard is the author of numerous refereed journal articles and book chapters, and is a member of the bar of Nova Scotia. 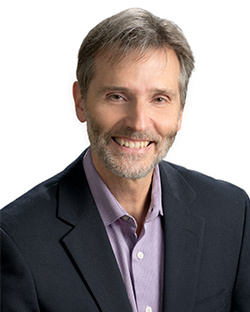 Graduate Research Supervision (LLM, PhD): Professor Girard's interests lie in the field of legal history, particularly Canadian and comparative legal history. His recent work deals with perspectives on law, empire and colonialism, including the interaction of Indigenous law, settler law and imperial law.